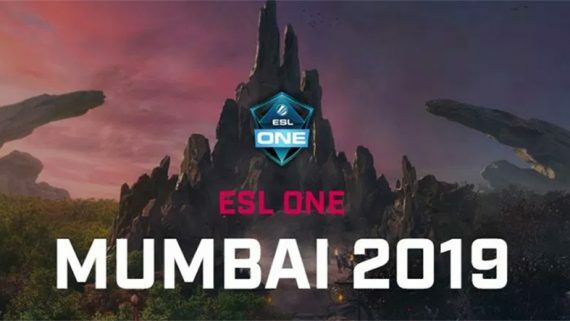 Evil Geniuses (EG) has advanced from Group B in the Kuala Lumpur Major opening around after taking down Chinese teams Team Aster and Vici Gaming. EG drafted the least-picked hero of the patch in game 1, Ursa. Ursa is not a good hero in this patch, but despite that, EG picked Ursa for S4, the position 3 player of EG. EG was having a lot of fun in laning phase of game 1 and dominated all thre lanes. However, when it came to the 5-on-5 team fight, EG couldn’t win against Faceless Void’s Chronos & Tinker Laser supporting the Phoenix Supernova. Team Aster slowly took back map control and swung the advantage back in their favour by winning every team fight with their wombo-combo. EG stayed ahead with a lead of 10 thousand net worth at the 27-minute mark, but had no way to resolve the wombo-combo done by Team Aster and lost the game at the 47-minute mark. In Game 2, EG drafted the classic combo, which is Bane’s sleep & Mirana 5 seconds Arrow. EG once again won the laning phase, however this time, Team Aster did not have strong heroes to support their Phoenix’s supernova, and EG won game 2 within 30 minutes thanks to Bane & Mirana owning the early stage of game by roaming around the map. Game 3 was a tough game for team EG. Artezzy, the carry position player of Team EG, picked Morphing but suffered quite a bit in the laning phase. Luckily enough for him, Sumail, the position 2 player of Team EG, was able to farm with his mirana and successfully created space for Artezzy’s morphing, giving EG control of the game when they forcefully took down first Roshan to secure the Aegis of Immortal. Despite being ahead by 29 kills at the 40-minute mark of the game, their net worth lead was only 5 thousand ahead of Team Aster. However, they were getting stronger. Morphing with aegis of Immortal was able to push high ground comfortably. They repeated the strategy of pushing high ground after taking Roshan two times and won the game by having mega creeps. After EG took down Team Aster, they came up against Vici Gaming in what turned out to be a much easier affair. At the 10-minute mark of the game, Terrorblade from EG had a net worth of 4068, while Morphing had a net worth of 2420. EG kept on taking advantage of expanding net worth of Terrorblade as well as tearing down the enemy’s tier 1 and tier 2 towers to control the map. EG successfully pushed high ground at 23-minute mark and got 1 melee barracks of middle lane, securing their victory. Vici Gaming did not have any chance to comeback in that game because Morphing had no way to farm and was a burden for the team. Vici Gaming had a better draft in game 2 and had Luna as their carry and Orge Magi as one of the support heroes. These two heroes are some of the pushing combos in this patch, but EG crushed Vici Gaming with better team fight scaling in game 2.